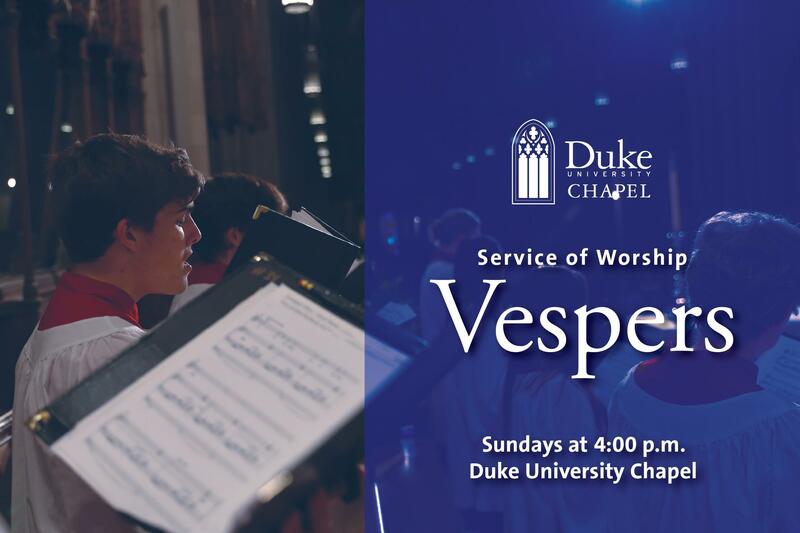 All are welcome to Duke Chapel for our service of Choral Vespers. This meditative service of music, readings, and prayers has ancient roots, and employs imagery of light and darkness which offers us an opportunity to pause and reflect as "the shades lengthen, the evening comes, and the busy world is hushed." The liturgy, music, and language found in this service draw from and honor many traditions which celebrate Vespers, while inviting those present to explore the ways in which all people encounter a living God in today's world. Please note that services occur only during the academic semester. This year, services will take place every Thursday from September 6-December 6 and January 10-April 11, excluding Thanksgiving Day and March 14 (Spring Break).